You may never have heard of Ayn Rand before. She was (and remains) an incredibly successful novelist. She authored numerous books that regularly appear in must-read lists in North American high school curricula including “Anthem”, “The Fountainhead”, and “Atlas Shrugged”. The latter was once ranked as the second-most influential book in existence, next to the bible. However, she also was a philosopher, and her philosophy was concretized in her influential works of fiction. 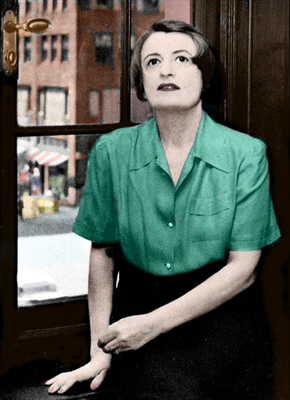 After the publication of “Atlas Shrugged” in 1957, she turned her attention to non-fiction essays and speeches in which she applied her philosophy – which she called “Objectivism” – to the analysis of history and current affairs. Although she died in 1982, her influence has continued to grow both within universities and in electoral politics. In the face of irrational policy proposals, Rand’s philosophy has provided the advocates of individual freedom and capitalism with a weapon more powerful than the black-bloc cowardly-masked criminal thuggery offered by the advocates of collectivism and communism: rational argument, founded in evidence. Given that such a powerfully influential figure – arguably, the most influential figure of all when it comes to freedom and capitalism – was a woman, a person of Jewish descent, and an atheist who condemned reliance upon faith as a source of knowledge, the response from the enemies of reason, freedom, individualism, and capitalism has been as rabid as it has been predictable. Rather than describe that response in any detail, I offer to you a list of links to articles and commentary that attack Rand in misogynistic, anti-Semitic, or otherwise ignorant ways. Judge for yourself whether you belong with the sorts of people who describe such a brilliant woman in these ways, or whether you belong on the side that actually reads and sees the value in her written works.